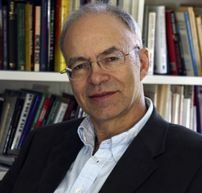 Noted professor and human rights activist Peter Singer will deliver the Richard J. Burke lecture on Thursday, Oct. 4 at 7 p.m. in the Oakland Center Banquet Rooms. The lecture will focus on the ethical dilemmas of sustaining life in terminally ill patients and severely defective newborns in addition to raising important ethical and philosophical questions debating the value of a healthy life with an unhealthy one. Singer is a professor of Bioethics at Princeton University and a published author of more than a dozen books, including "Animal Liberation" and "The Way We Eat." The lecture, titled “Changing Attitudes Toward the Sacredness of Human Life”, coincides with the College of Arts and Sciences 2007-08 Celebrating Liberal Arts theme, “Revolution.” The Burke Lecture series is designed to tackle today’s most compelling issues – from war to religion to sexual ethics – sparking serious, thought-provoking discussions among scholars, students, and the community. Admission to the lecture is free, but reservations are requested. To place a reservation, call (248) 370-2650 or e-mail dykstra@oakland.edu. For more information on the lecture series, visit the College of Arts and Sciences Revolution Web site. Summary Noted professor and human rights activist Peter Singer will deliver the Richard J. Burke lecture on Thursday, Oct. 4 at 7 p.m. in the Oakland Center Banquet Rooms. The lecture will focus on the ethical dilemmas of sustaining life in terminally ill patients and severely defective newborns in addition to raising important ethical and philosophical questions debating the value of a healthy life with an unhealthy one.